At Auburn University Robertson spent time studying architecture and industrial design. 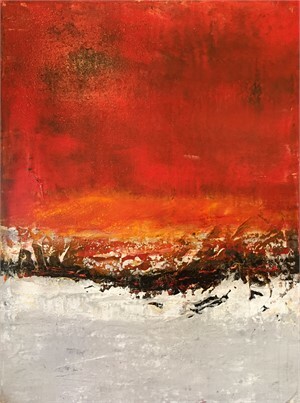 During his time in college, an art professor nurtured the foundation for what would eventually become Robertson’s career as a professional painter, encouraging his unique ability to work with color and texture to create depth, complexity, and expressiveness. 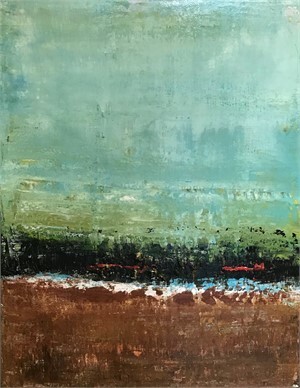 Robertson earned his BFA in graphic arts in 1999, leaving painting behind for a time and moving to Atlanta to work as a full-time graphic artist at a production company. After a few years, he decided the structure and monotony of big-city life were not for him and began to think of his roots in Alabama. Robertson moved back to Alabama in 2002, lured back to the more relaxed coastal way of life. 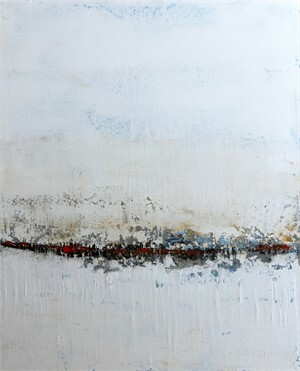 Since then Robertson has become an award-winning artist with collectors throughout the United States. Still based in Mobile, he is active in the local art community and says he cannot imagine doing anything else for a living. He considers good music an integral part of the artistic process and tries his hand at fishing in his spare time, though he admits he should probably stick to painting. Cover Art for Roy Hoffman's 2014 novel "Come Landfall"
Signature Beauty: Brad Robertson's Evocative, Award-Winning Art. Zalea, 24-27. Matthews, M. R. (2011, May). 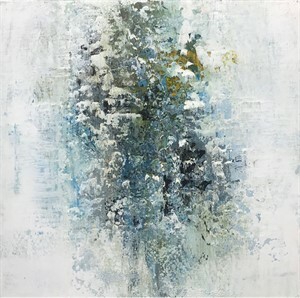 Texture and DEPTH: Local Artist Brad Robertson gains notice in the world of contemporary art. Mobile Press-Register, p 1D.. Andrews, C (2007, January 22). 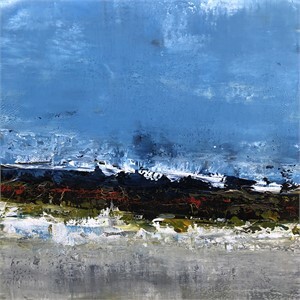 Brad Robertson has painted all his life. 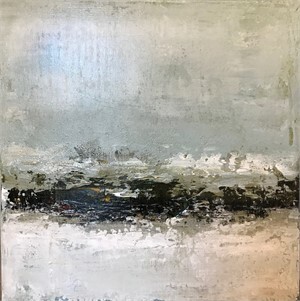 Born and raised in the coastal town of Mobile, Alabama, his earliest inspiration was the landscape—the indigenous pines and oak trees, and the waters of Mobile Bay. 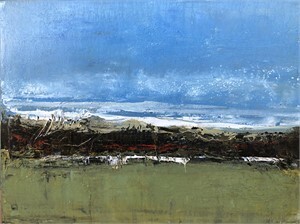 The coastal landscape is still a major source of inspiration for Robertson. At Auburn University Robertson spent time studying architecture and industrial design. 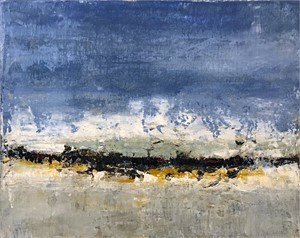 During his time in college, an art professor nurtured the foundation for what would eventually become Robertson’s career as a professional painter, encouraging his unique ability to work with color and texture to create depth, complexity, and expressiveness. 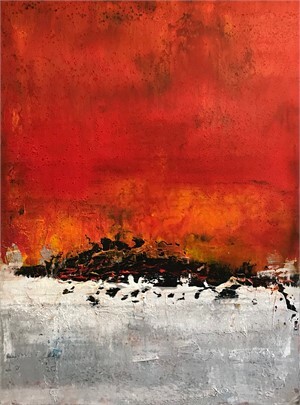 Robertson earned his BFA in graphic arts in 1999, leaving painting behind for a time and moving to Atlanta to work as a full-time graphic artist at a production company. After a few years, he decided the structure and monotony of big-city life were not for him and began to think of his roots in Alabama. Robertson moved back to Alabama in 2002, lured back to the more relaxed coastal way of life. 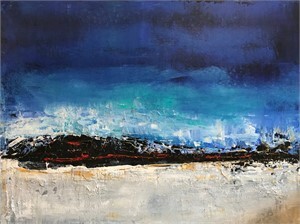 Since then Robertson has become an award-winning artist with collectors throughout the United States. Still based in Mobile, he is active in the local art community and says he cannot imagine doing anything else for a living. He considers good music an integral part of the artistic process and tries his hand at fishing in his spare time, though he admits he should probably stick to painting. AWARDS: Art Comes Alive National Competition, Gallery Representation Award, Cincinnati, 2015 Art Comes Alive National Competition, Juror Award, Art Design Consultants, Cincinnati, 2014Selected one of 50 Top Emerging Artists of 2014/2015 by Art Business News MagazineSelected one of Mobile Bay's 2013 Class of 40 Under FortyLagniappe Nappie Award: Best Art Gallery 2013 - Robertson GalleryAlexandria Museum of Art September Competition Honorable Mention, Alexandria, LA, 2012 (National Competition)Lagniappe Nappie Award: Best Art Gallery 2012 - Robertson GalleryEnergen Corporation Grand Prize Winner, Birmingham, AL, 2011 Energen Corporation Non-Representational Winner, Birmingham, AL, 2010Arts Council Design Selection, Mobile, AL, 2009 Energen Corporation Non-Representational Winner, Birmingham, AL, 2006 Space 301 People’s Choice and Mobile Press-Register Art Show Winner, 2005 PRESS: Alabama Magazine: A Fresh New Voice In Contemporary Art, March/April 2015 EditionCover Art for Roy Hoffman's 2014 novel "Come Landfall"Tone and Texture: Abstracts inspired by his coastal homeland have elevated the career of painter Brad Robertson to a new level. Mobile Bay Magazine, November 2013 (A. Hoff)Architectural Digest (Print), August 2013: Favorite FindsThe Cottage Journal, 2013 Summer Edition: A Stay by the BayABC TV Series Nashville, 2013 SeasonMobile Bay Monthly, February 2013 Edition: Downtown SizingABC TV Series Nashville, 2012 SeasonHGTV show Interiors, Inc., January 28th, 2012AAA Alabama Journey Magazine May/June 2012 Cover: Painting the TownSignature Beauty: Brad Robertson's Evocative, Award-Winning Art. Zalea, 24-27. Matthews, M. R. (2011, May). 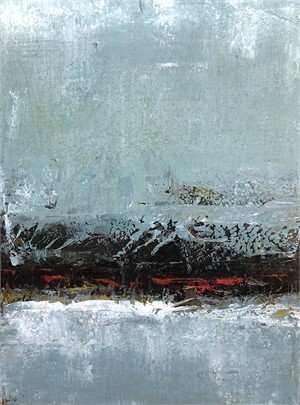 Texture and DEPTH: Local Artist Brad Robertson gains notice in the world of contemporary art. Mobile Press-Register, p 1D.. Andrews, C (2007, January 22).